The Joseph and Mae Gray Cultural and Learning Center (the CLC) at North Suburban Synagogue Beth El aims to provide the congregational community with Judaic educational and cultural resources. The CLC strives to develop a superior, up-to-date collection of books, periodicals, videos, DVDs, audio, other resources, and supportive programming to strengthen and further the vision of Beth El. 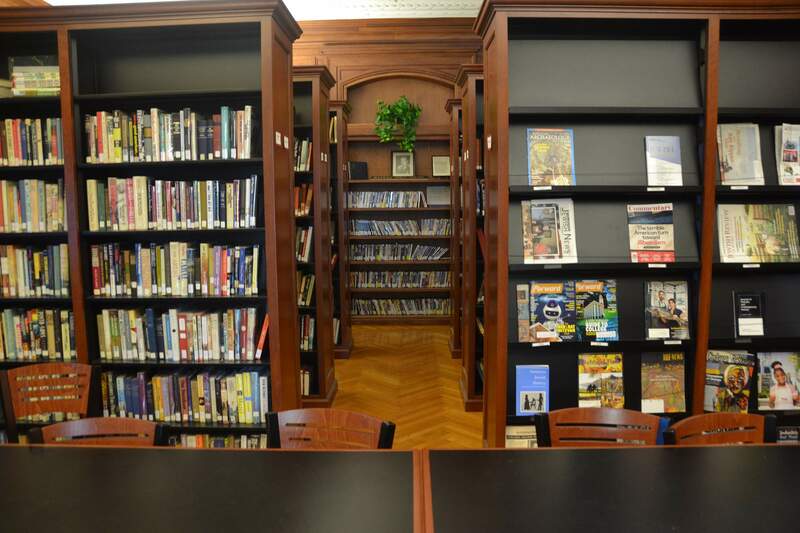 The Maxwell Abbell Library, a nationally recognized circulating collection of adult fiction and non-fiction, history and literature as well as rabbinic reference books in English, Hebrew and Yiddish. It seeks to develop a collection that not only supports the academic needs of the student and the scholar, but also provides a broad range of pleasure reading for the individual. The Pinsof Children’s Reading Room, a special collection of materials for children and teens, aims to stimulate interest in Jewish subjects and stories. It offers activities ranging from storytelling to elementary research, and seeks to serve as a resource for families and faculty to extend and enhance curricula. The Bernard and Edith Kaye Reading Room, located in the middle of the Learning Center, has comfortable chairs and sofas and is a wonderful place to browse our collection of new books and review one of the many newspapers, magazines, and journals available. The Susan Fisher Glick Memorial Research Center provides technological tools for learning, research, and communication. This center strives to keep abreast of developments in Judaic electronic media and to facilitate their accessibility to the congregation. The Rissman Kol Ami Collection, contains Jewish art, artifacts and ritual objects. In addition to preserving significant objects for posterity, the collection seeks to develop programs and exhibitions that are designed to educate the congregation and promote an appreciation for works of Judaica.